Our aim, at Landscape Management, is to share new ideas and innovations that can be used for the betterment of your landscaping company. This is a mission we’ve stuck to since the magazine’s inception in 1962, when it was named Weeds and Turf. In line with “Throwback Thursday (aka #throwbackThursday or #TBT,” we’ll be posting an image from an archived issue of LM every week to share what those innovations have been through the years and how they’ve changed over time. Keep in mind these tips and concepts may be a tad outdated. To that end, we welcome comments on whether you’ve used the topics in your company in the past or still do today. 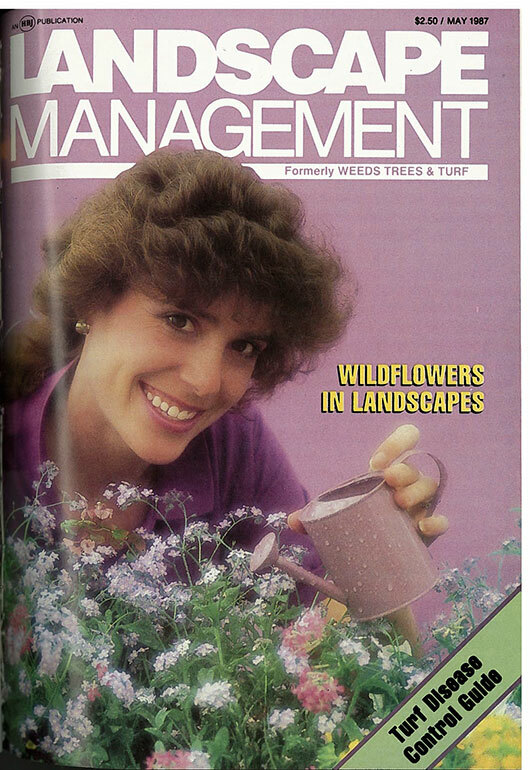 Our inaugural post features the cover from May 1987. 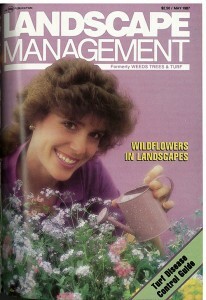 Titled “Going wild” by Managing Editor Heide Aungst, the cover story introduces wildflower mixes as a low-maintenance alternate for rights-of-ways, golf courses and home gardens, among other spaces. It weighed the pros and cons of using native wildflowers vs. mixes and annuals vs. perennials. Part of the consensus was natives use less water and thus require less maintenance, whereas mixes were presumed to bloom full color year after year.